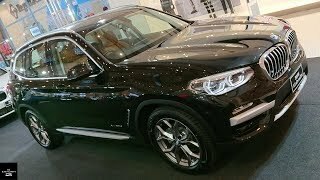 The BMW X3 is all-new for 2018, and it looks a lot more like the X5. 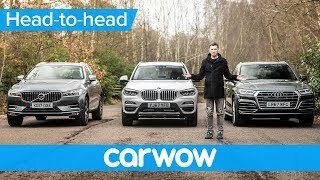 Is the new X3 G01 better than the Volvo XC60? How are the petrol and diesel engines? What's the new interior like? 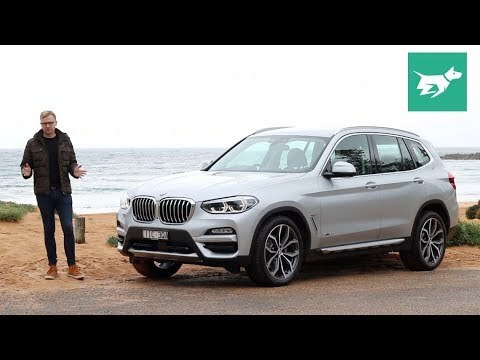 Tom spends a week with the X3 xDrive30i to find out. 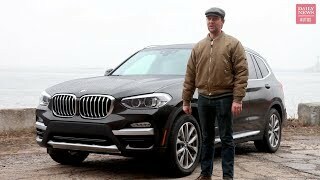 What do you think of the BMW X3? Is the new model an improvement? Let me know all your thoughts in the comments. 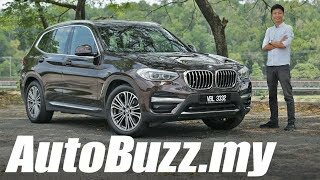 Covers the interior, back seats, boot, driving and engines of the BMW X3 2018 / 2018 X3. 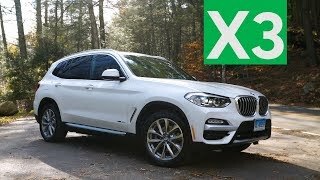 Hi There are a lot of x3 reviews. A lot. But no info on new technology in its turbo 4cy engine. How good is it? Longivity? How much to replace or fix? All the reviews are about looks only which is not important. are you short oh good size pants in Australia? You look inappropriate. 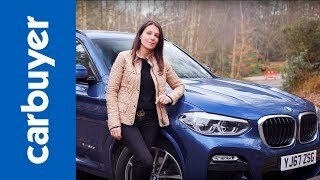 What would be the ride quality of the X3 without adaptive dampers? Afraid I'm not sure Lisa. Haven't driven one without adaptive dampers, but I hope to this year. Keep up the good work, Tom - love your channel. A real breath of fresh air. Also love your practical and commonsense approach (tired of all the Clarkson wannabes). Look forward to more reviews! Do these BMW's have a Parked Car Ventilation System. If they do, what are the temperature stats about how many degrees cooler the car will get with this feature. I've seen a lot of online comments about this feature. Mobs of disappointed owners are saying it only blows hot air around the car without actively cooling it. 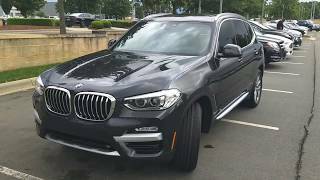 I currently own the 2016 X3 20d - it’s been remarkably good since new. I might have to go for a petrol X3 next time which seems to be more popular at the moment. 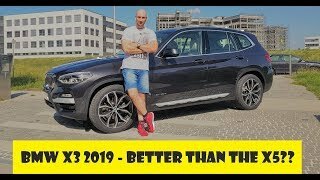 Hey guys - what’s your thoughts on the X3 in comparison to the Mercedes GLC? 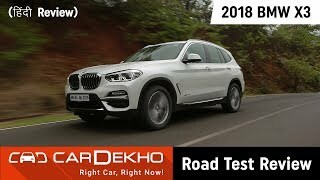 Tried both and the Beemer wins hands down in both handling and performance. For the interior, the GLC has a great infotainment. 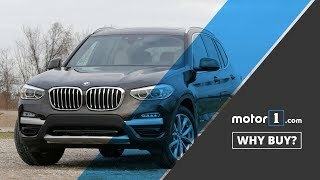 Do you see the dynamic handling package with adaptive damping as a mandatory option or is the normal suspension adequate in the X3? Thanks! We had the adaptive dampers (and 20-inch wheels). The ride was pretty firm with that set-up, especially at the rear. I personally haven't driven one without adaptive damping, but if I bought it that way I would definitely get smaller wheels and chunkier tyres, to help soak up bumps. Great review. 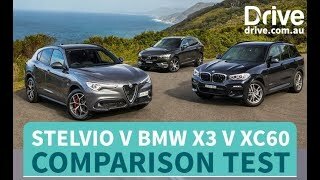 I was surprised you didn't mention the Audi Q5 as a primary competitor to the X3. How do you compare the two vehicles? Chasing Cars Thanks for the quick reply! I'm in the USA, but love your reviews. 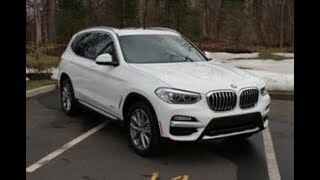 I'm just in the process of ordering an X3, but we really liked the Audi Q5 as well, but thought the BMW edges it out in most categories. Slipped my mind at the time…the Q5 is definitely up there. We'll have an X3 versus Q5 comparison in the next few months, so if you subscribe, you will certainly catch that one. Thanks a lot. Glad you enjoyed it. 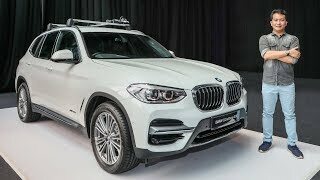 Tom good mate isn’t it obvious why BMW charge you extra for Apple CarPlay and heated seats, they just want more money from you like apple which is unfortunate for us buyers of these products. Yeah, probably right. It’s sad because in the last decade there has otherwise been a general shift in making those kind of lower cost options standard equipment in Australia. I'm a little worried about the new direction BMW seem to be looking at. BMW is all about the engaging and dynamic drive. If it's going soft, yes, the soccer mums will love, but this isn't BMW's core - the sporty business/luxury brand. I am a little concerned too but if it ends up in a split approach - more luxurious SUVs and big cars, including 5 Series, and more sporty small cars like 2 and 3 Series, I think that’s okay. 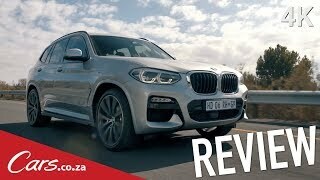 We’ve just posted an M140i comparison you should check out ... that’s still a very sporty little BMW. 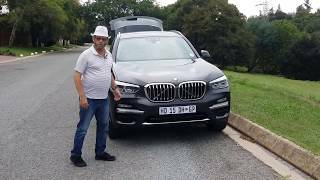 stubones as an avid BMW fan - totally aware of the range. The front drive architecture, the 2 Series Grand Tourer, the 2 Series Active Tourer - and now a softer X3. Yes, it's all about economics and growth - totally understand. However I personally think it's watering down the brand. They pride themselves on rear wheel drive and a perfectly balanced chassis with a 50:50 weight balance distribution. Again, just a personal observation. In my eyes, still the Ultimate Driving Machine. My first beemer yonks ago was a 318i - coming from a history of 6 cylinder Lexus. Whilst the 318i was so slow, it drove like it was on rails. And I've owned BMW's (6 cylinders) since. The on road driving dynamics are just second to none. Whist other luxury brands excel in other areas, none drive and handle like a BMW. great reviews. Keep up the good work. Looking forward for more future reviews. Thanks a lot Henry. Make sure to subscribe. BMW offer two packs purchased up-front with the X3 that cover 5 years / 80,000km on maintenance. Basic is $1,440 and includes annual checks, oil changes, microfilter, air filter, fuel filter, brake fluid, and spark plugs. Plus is $4,250 and adds replacement brake pads and discs, wiper blade rubbers and clutch disc and plate. Fair point. It’s got run-flats. Overseas you can add a spare tyre where the underfloor storage is for a few hundred bucks. We think BMW should offer that option here for a bit of extra peace of mind, although that’s only a space saver anyway. Thought I was the only one that worried about that. Probably run flats, which I personally hate, space save is a minimum in my opinion. Nice review. Cant wait for my 30d msport to arrive next month! The 30d is a nice choice. Maybe BMW doesn't want to absorb the cost of the Apple software licencing. In the real world very few people pay for a car in a lump sum. They either lease the car, or pay monthly installments over 3 or 4 years and pay the balance at the end, or use the car as a deposit on a new one. Something like carplay would probably add $2 a month. My car has a bluetooth connection to my iphone and that's it. I can make and receive calls, good enough. No one needs Android Auto or Carplay, but it's nice to have. Personally I can think of other options, that would actually improve the driving experience, that should be included in the cost. BMW isn't even the worst at charging for optional extras. Go fantasy spec a new 911, for eg, on the porsche website. By the time you're done you've added 50% on top of the basic price. That's outrageous! Yep. The last generation X3’s front end always looked awkward to me. 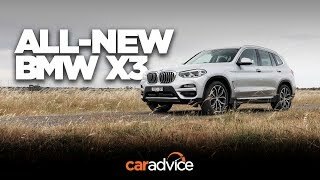 The new X3 is the same size as the original X5. Shows how cars just keep growing with every generation. 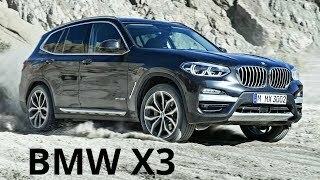 I think a X3 is all the SUV/car you ever need. Yep. As you can see in the back seat shots, the X3 really is big enough now. That said, I would probably buy a 3 Series Touring (or 5 Series Touring) if I wanted a 5 seat, practical BMW. 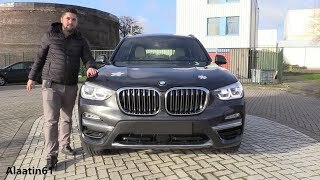 I enjoy your review style Tom & I am curious to know when you are going to test the new XC40? I'm currently still very much enjoying my V40 T5 R Design that I purchased new in 2015 & the XC40 is shaping up well as its successor in another year or so based on overseas reviews so far but I'd like to hear what you think. Except perhaps for boot space I don't really see much to justity spending $90k on this X3 over a pretty much fully loaded XC40 for around $65-70k. 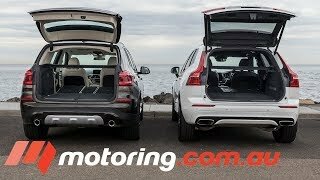 The difference would fuel & service the XC40 for quite some time! Even as a definite Volvo fan after 3 trouble free & very comfortable years in the V40 I couldn't justify the spend on an XC60 for the same reasons which I admit is probably the closest competitor to the X3. Chasing Cars Cheers for that & you are right the V60 is definitely worth considering as I must admit to not really being a fan of the SUV craze sweeping the worlds roads. The XC40 is in fact the first one that has actually made me question that opinion as it is a way for me to step into the new Volvo architecture with what I now know to be a very reliable engine & gearbox combination as it carries over relatively unchanged from my V40 T5R. I can already attest to the comfort, build quality & safety credentials of modern Volvos. I also suspect that perhaps even the next gen V & possibly S40 may be all I really need & they'll hopefully arrive sometime next year. Thanks again for providing quality relateable car reviews... I look forward to your thoughts on the XC40. Thanks for your kind feedback! I’ll be driving the XC40 in the near future and will keep your questions in mind. At the end of the day they’re in different size classes, with the XC40 competing more squarely against the X1/X2 than the X3, but the Volvo is a little more practical than those smaller BMWs. I think it’ll be a good car, though the usual SUV tax is a bit outta control - $70k for a loaded little SUV is still a lot - but all the manufacturers up charge for SUVs compared to standard passenger cars! The forthcoming V60 may be a little better value than that. You can also see the braces for the top facia support through the grille. Rather like a 70s Valiant or Kingswood! Design is subjective, of course... I think the XC60 is a better looker but I don’t actually mind the BMW. That grille is pretty big though.